Peru: The huge earthquake hits the Peru Today on Saturday Morning (local time) around 10 a.m. 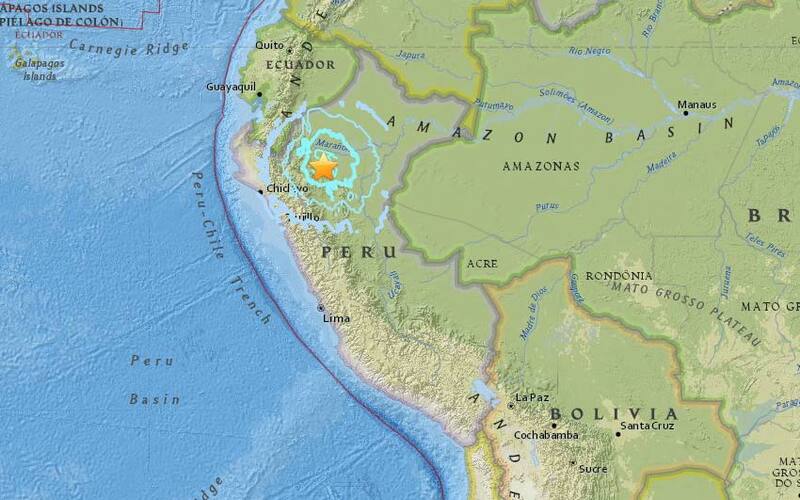 The strong Richter Scale records as the 6.0 from the 51 km of Moyobamba, South America. The Peru Earthquake is the major one, there are nearly 50,000 people were living. The earthquake hits the location of 5.583° South 76.965° West at the depth of 114.4 km in the epicenter. As of now, there are no reports or any injuries or damage at this stage. The epicenter of this Peru earthquake 2016 has located in the deep rainforest. The surrounding areas such as Yuracyacu, Posic, Calzada, Habana, Rioja, Bajo Naranjillo, Chiclayo, Trujillo, Pucallpa, Machala, and Cuenca are in the list according to USGS. Also, the Indonesia has been also affected due to the 4.6 magnitude earthquake 183 km from Boyolangu.